First up are two Christmas ornaments from previous Just Cross Stitch ornament issues, both with some awkward shapes. I didn't want to just do a regular square or round ornament, so these were experiments with some different shapes. 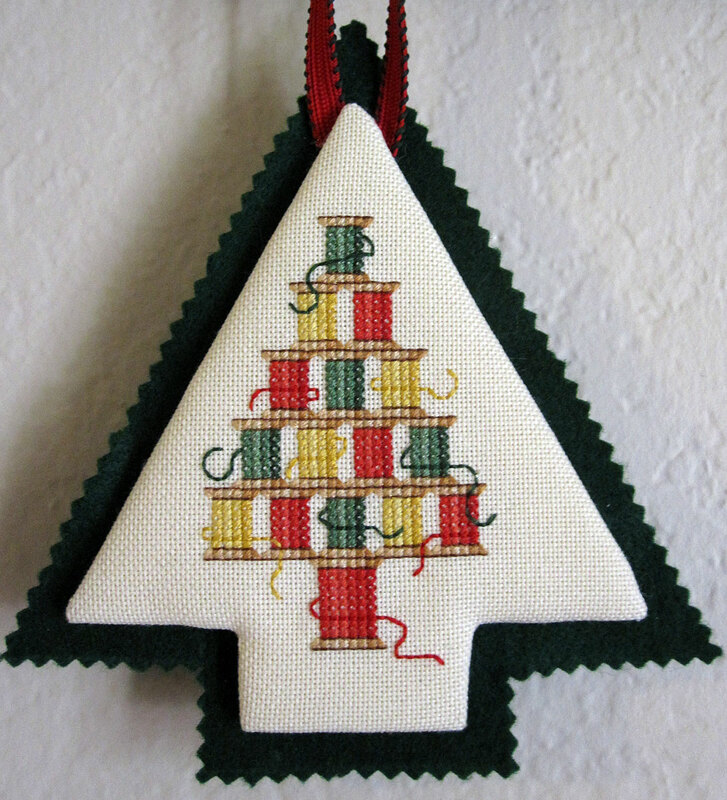 Doing the corners at the bottom was very tricky on this one! It's hard to tell from the picture, but the felt backing is dark green. 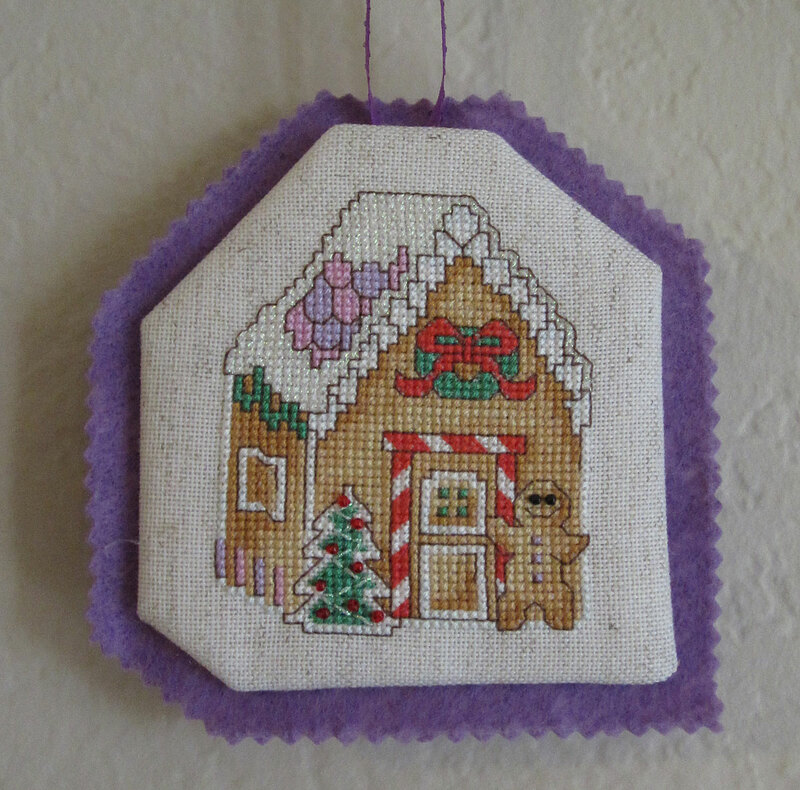 Annoyingly, this one ended up crooked on its backing, but I'm still fairly happy with it overall. 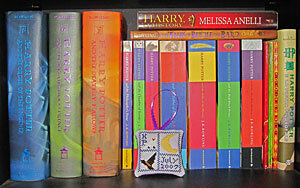 Next is the Hedwig Four-Patch freebie that came out with the release of the last Harry Potter book. 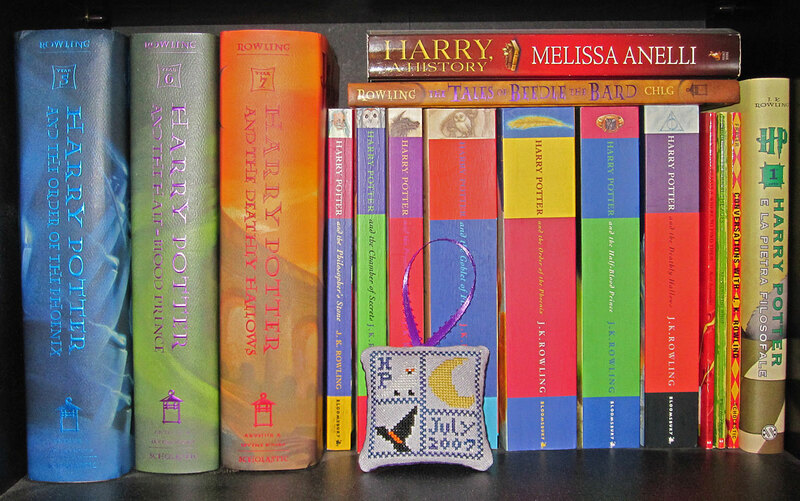 So, of course, I took a photo of it on my Harry Potter shelf! 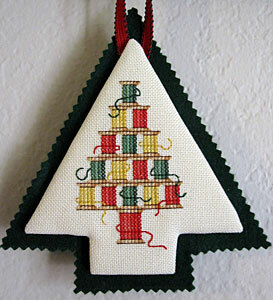 This one is finished as a stuffed ornament. I think this was the first time I have done a stuffed finish with a ribbon hanger, which was a little tricky, but it came out well. 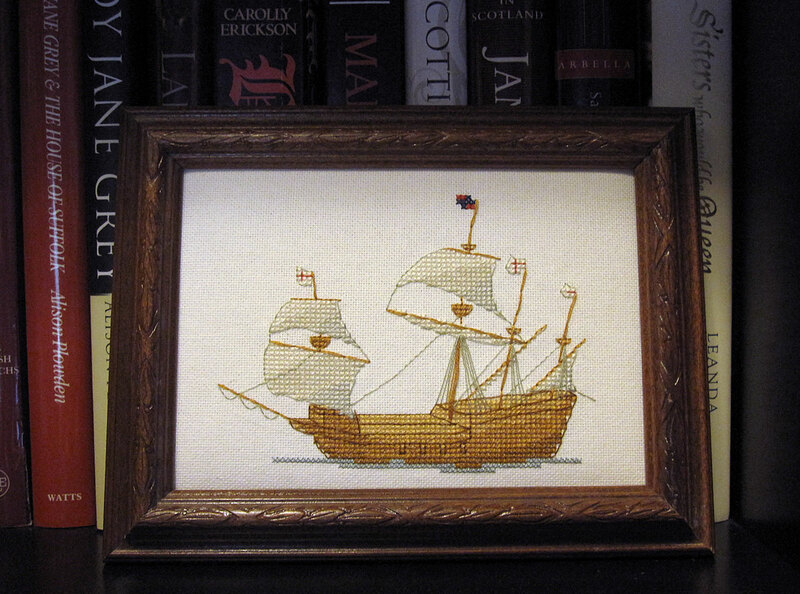 The next is a framed finish of The Mary Rose, stitched from a kit that I picked up when I visited the museum in 2000. The photo for this one was taken on one of the many shelves of Tudor history books in my apartment. 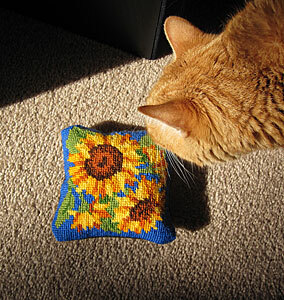 And finally, I pulled an old needlepoint kit out of the frame it was in and finished it into a small pillow. I still want to add a trim around it, but I don't have one on hand that I like so I'll have to that some other day. I was looking for some decent light to take a picture in, and of course the second I set it on the floor one of the cats decided she had to investigate. Catherine of Aragon is finished!